Barclays has created a new £14.7bn lending fund to help UK-based SMEs through market uncertainty caused by Brexit. The bank aims to mitigate risks and challenges related to managing cash flow and working capital, exporting goods and supply chain management, among other issues, that are being exacerbated by the UK’s prolonged EU withdrawal. The fund is made up of £11.3bn from the bank’s UK retail banking arm and £3.4bn from its corporate bank, which represents the bank’s lending appetite for the next three years. The loans include a continuous drawdown facility, and a spokesperson for Barclays tells GTR that loans can be taken out any time during the period, while tenors can go well beyond 2021. Barclays was unable to disclose the interest rates attached to loans from this fund but described them as “competitive”. Businesses can also access cashflow funding for investment in growth, management buy-outs and business acquisition. To be eligible for a loan, a company’s turnover must be no more than £25mn. 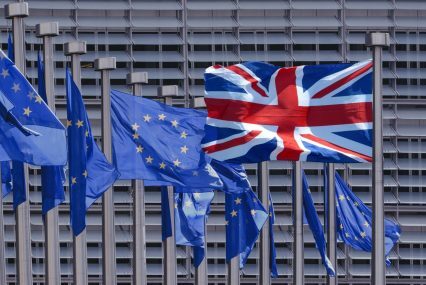 The challenges posed by Brexit for UK businesses were highlighted in a survey of supply chain managers last month, which showed that British exporters face losing contracts or cutting their prices in order to maintain links with the EU in a no-deal scenario. A one-day delay at the border would see 20% of EU businesses surveyed push their UK suppliers for a discount on their order, while 11% of UK exporters are expecting to have their contract cancelled in the event of 24-hour delays. In the event of extended delays, a quarter of EU businesses would withhold payment until after goods arrive, reversing the current trend towards an open account model for UK-EU trade. UK Prime Minister Theresa May yesterday announced plans to request a further delay to the country’s withdrawal timetable from the EU, which has a deadline of April 12. May stated that the new leave date will be no later than May 22 in order to avoid the UK having to participate in the EU elections. The UK was originally set to leave the trading bloc on March 29. The latest extension means that affected businesses remain in the dark on what trade will look like between the UK, the EU and its partners in the future.